Mallory is a seasoned trial attorney. She spent three years as a prosecutor in the Denver City Attorney’s office, and before that she was a deputy district attorney in Kansas City, MO and Springfield, MO. Mallory’s practice focuses on representing law enforcement officers in disciplinary, employment and administrative actions throughout the state of Colorado. She also represents clients in criminal matters. 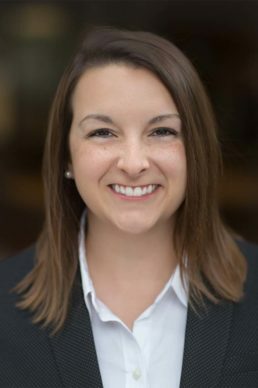 Mallory is a member of several bar associations and is a 2018 graduate of the Colorado Bar Association Leadership Training program. Mallory believes a key component of leadership is being active in the community. Since 2014, Mallory has been a strong advocate for SafeHouse Denver, and she also volunteers in local schools coaching 5th grade mock trials.